Australian architect Luigi Rosselli demonstrates his typological repertoire in the Books House in Sydney. Dug into the escarpment over the harbour in the capital of New South Wales, the building figuratively revolves around the idea of the book and the library. The swimming pool plays a fundamental role in the renovation and extension of an early 20th century home by architect Luigi Rosselli in Randwick. 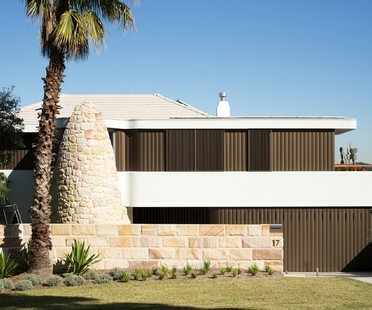 Stone and timber are the materials chosen by Luigi Rosselli for the new house designed in Hunters Hill: a natural choice, given that the entire suburb is characterised by 19th century sandstone mansions and Victorian timber cottages. A contemporary home inspired by Adolf Loos’ Raumplan, a challenge that architect Luigi Rosselli accepted, transforming the limits of a site into a resource and finding efficient project solutions. 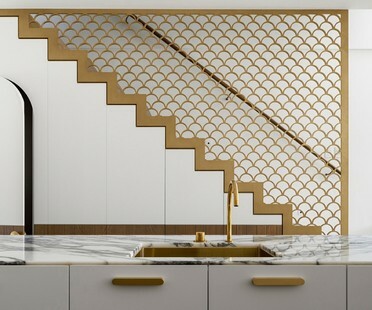 Architect Luigi Rosselli has converted a building in Sydney constructed in the 1920s into a duplex on a human scale with big patios for admiring the view of the city, with its skyscrapers by Renzo Piano, Sir Norman Foster and Ingenhoven Architects. Architect Luigi Rosselli has converted a building constructed in the 1950s and early 1960s into a contemporary home with interior design by Romaine Alwill in neutral hues and Mediterranean blue, the client’s favourite colour. 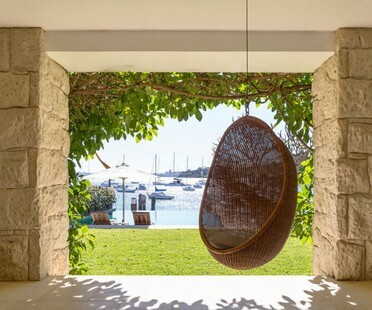 The Waterfront Palazzo built in Vaucluse, Australia 11 years ago, designed by architect Luigi Rosselli, has passed the test of time. 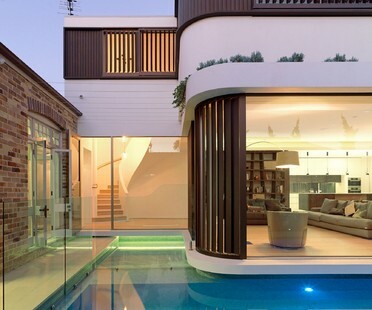 This is what the home looks like today, integrated with its natural surroundings. A veranda that may be set up in a variety of different ways, ensuring maximum permeability between inside and outside, is the key to the renovation of a home in Sydney built in Federation Queen Anne style.